People, Planet, ProfitIn its unique approach to economic and business development, EMG is proactive in transforming the landscape of responsible business, generating sustainable growth and prosperous, inclusive societies worldwide. The firm has built an impressive and proven track record in supporting governments, businesses and non-profit organizations in reaching their full potential through Sustainability & CSR and therefore, makes an excellent partner for realizing triple bottom line results. EMG and its panel of experts draw on extensive knowledge and experience in the field to create significant value. By adopting a personal approach and working closely with clients and stakeholders, EMG formulates strategies which are innovative, responsible, and transparent. With this proven track record of achievement, EMG applies world-class systems‐thinking methods to identify and leverage synergies between people, planet, and profit. The Advisory Board is EMG’s top-level consultative and advisory body. Its role is to provide high-level strategic input and support towards the effective development and implementation of EMG’s goals and objectives. With more than 20 years of experience in global finance, Gerrit is a prominent thought leader in the field of sustainable economic development, focusing on identifying activities that improve resource efficiency and enhance sustainability in the transition to a less carbon intensive economy. Educated at the University of Copenhagen, Ida was elected to the Danish Parliament in 2007 where she has played a vital role in shaping Danish environmental policies, holding positions including Spokeswoman for Environmental Affairs, Member of the Energy Policy Committee and Member of the Environment and Regional Planning Committee. 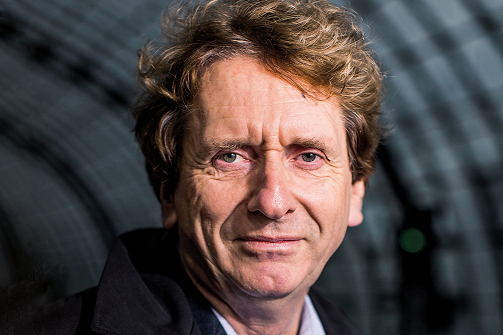 Prof. Dr. Michael Braungart is a chemist – widely known for his work on the Cradle to Cradle design concept, which he developed together with American architect William McDonough. As founder of EPEA Internationale Umweltforschung GmbH and co-founder of McDonough Braungart Design Chemistry (MBDC) he has pushed forward the implementation of Cradle to Cradle by promoting innovation, positivity and quality in product design. Michael also co-founded the Hamburg Environmental Institute in 1989, a non-profit scientific research institute focusing on environmental solutions. 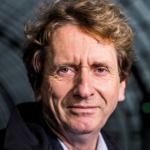 Michael is currently the professor of Eco-Design at Leuphana University of Lüneburg, and holds the Cradle to Cradle chair at the Erasmus University Rotterdam, the Netherlands. A former Greenpeace activist (leading the formation of the Chemistry Section of Greenpeace International) who once lived in a tree as protest, he is now considered to be a visionary thought leader in environmental science.